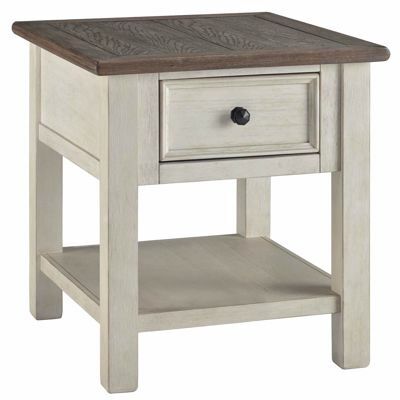 Bring country charm to your home with the Bolanburg Chair Side End Table by Ashley Furniture. 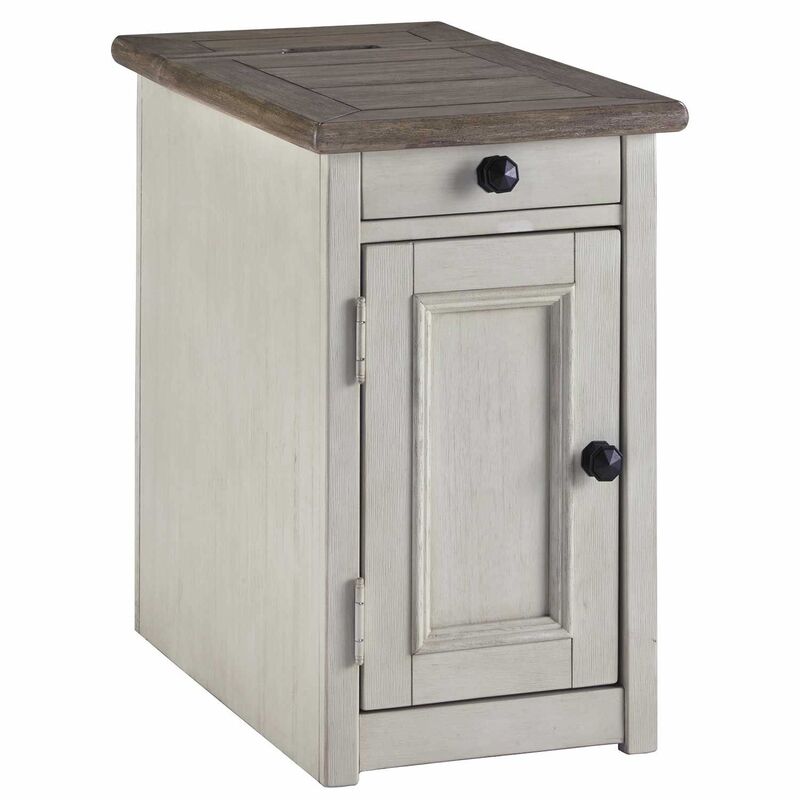 This chairside end table has a delightful vintage look thanks to the textured antique white finish on the table base and a rustic planked top in a gently distressed weathered oak finish. A pullout tray and a large storage compartment with an adjustable/removable shelf provide handy storage space while two AC outlets and two USB charging ports add modern functionality. 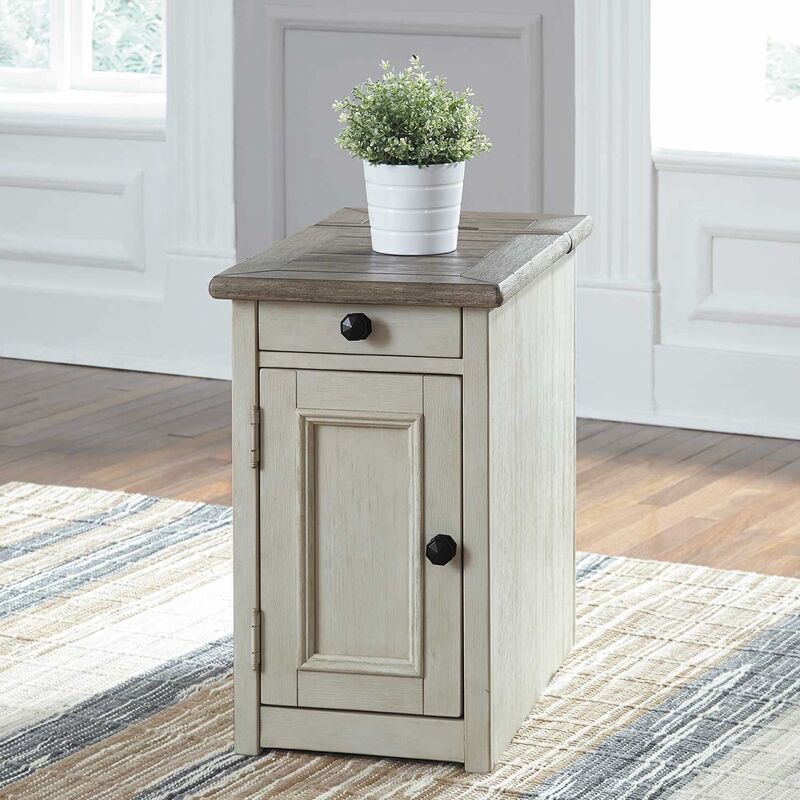 Bring country charm to your home with the Bolanburg Chair Side End Table by Ashley Furniture. 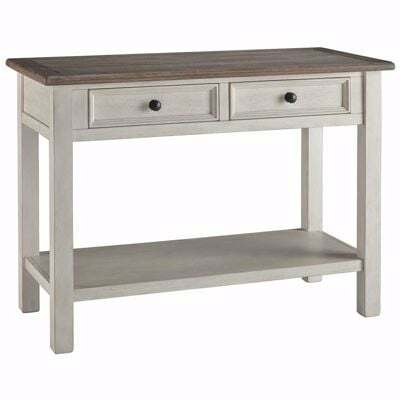 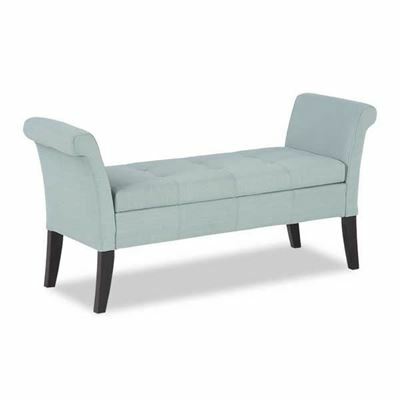 Bolanburg Chair Side End Table by Ashley Furniture.